Bascom Palmer Eye Institute of the University of Miami Health System and University of Miami Miller School of Medicine has again been ranked as the nation’s best in ophthalmology by U.S News & World Report in its Best Hospitals edition. It is the 14thyear in a row and the 16th time that Bascom Palmer Eye Institute has been ranked Number One since the publication began surveying U.S. physicians for its annual rankings. “Our patients inspire Bascom Palmer’s superb team of 1,200 doctors, scientists, nurses, ophthalmic technicians and support staff to excel in patient care, vision research, education and surgical innovation,” said Eduardo C. Alfonso, M.D., chairman of Bascom Palmer Eye Institute. 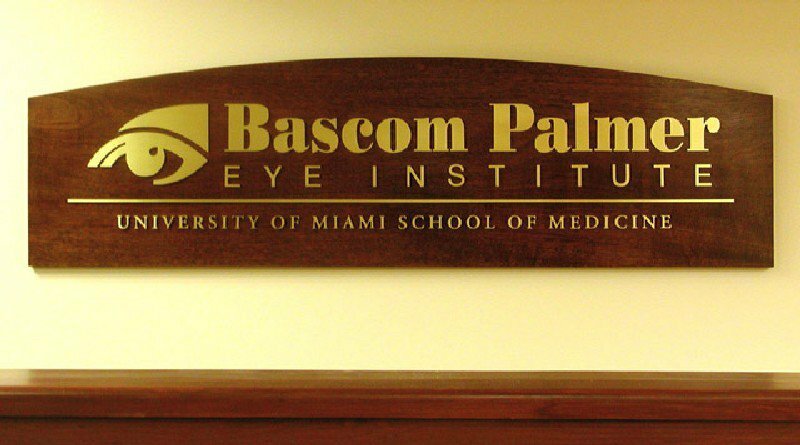 Bascom Palmer’s doctors and scientists are recognized international leaders in their fields of expertise in every subspecialty of ophthalmology; these include macular, retinal and optic nerve diseases, cataracts and corneal diseases, glaucoma, eye cancers, and eye diseases in children. Another University of Miami Health System program — ear, nose, and throat at University of Miami Hospital (UMH) — joins Bascom Palmer in the national rankings at Number 35. Sylvester Comprehensive Cancer Center at the University of Miami Hospital and Clinics is ranked “high performing” in cancer, as is neurology and neurosurgery at UMH. In the regional rankings, UMH is ranked No. 4 in the Miami Metro Area and No. 12 in Florida. Bascom Palmer is one of the first academic institutions to initiate the American Academy of Ophthalmology IRIS Registry (Intelligent Research in Sight) – the nation’s first comprehensive eye disease and condition registry, which allows ophthalmologists to compare their performance against benchmarks and ensure the best possible outcomes for their patients in the delivery of eye care.